The independent directors of BSkyB have rejected an offer from Rupert Murdoch's News Corporation of 700p a share for the 60.9% of the company not already owned by News Corp. In a statement to the city the independent directors said following advice from investment banks Morgan Stanley and UBS they believe the offer significantly underestimates the value of BSkyB. The independent directors have indicated to News Corp that they would have been able to support a proposal if it would deliver more than 800p a share or higher. In early trading this morning following the emergence of the offer Sky's share price was driven up 19% to 715.5p. So far this year the shares have traded in a range between 525p and 630p. They were last above the 700p level in July 2007, before the recession took it below 330p in late 2008. In a statement News Corp said the 700p a share offer is an "attractive price" which represents a premium approximately 22% above the trading price of 574p at the close of business on 9 June 2010, the day before News Corp's approach to the board, and 27.5% higher than the average price in the 12 months before the approach. News Corp is the major shareholder in BSkyB and currently owns 686,021,700 shares, representing 39.1% of BSkyB's issued share capital. BSkyB was formed by the merger of Murdoch's Sky Television with rival British Satellite Broadcasting in 1990, after both satellite TV companies suffered huge losses. Nicholas Ferguson, senior independent non-executive director, said: "Based on careful review and advice, it is the unanimous view of the independent directors that there is a significant gap between the proposal from News Corporation and the value of the company. "We believe the company has a track record of very strong performance and excellent growth prospects. The management team will remain fully focused on its strategic and operational priorities, positioning the Company well to grow earnings and cash and increase returns for shareholders." News Corp made an initial offer of 675p a share on Thursday 10 June which was then increased to 700p per share after discussions with the independent directors. Chase Carey, deputy chairman, president and chief operating officer at News Corp, said: "We believe that this is the right time for BSkyB to become a wholly-owned part of News Corporation with its greater scale and broader geographic reach. "For News Corporation, our Proposal presents an opportunity to consolidate a core business with which we have been closely associated for over two decades." 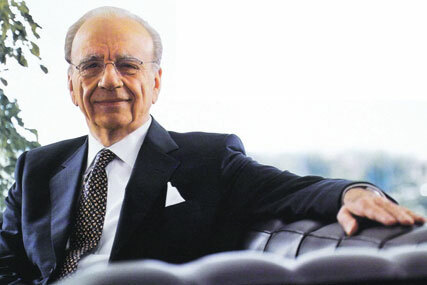 News Corp will now seek regulatory approval for the takeover. The directors of BSkyB have agreed to cooperate with the authorities and News Corp and have secured a number of provisions to protect the interests of BSkyB shareholders. Though there has been speculation about News Corp intending to buy the remainder of BSkyB this is the first time that either party has commented on the matter. In March News Corp executives said they were comfortable with the current level of ownership in BSkyB.